Rhino armoured carrier of the Death Guard Traitor Legion, corrupted Mars pattern with additional armour plating. Assault on Urath, Agripinaa System, 13th Black Crusade. 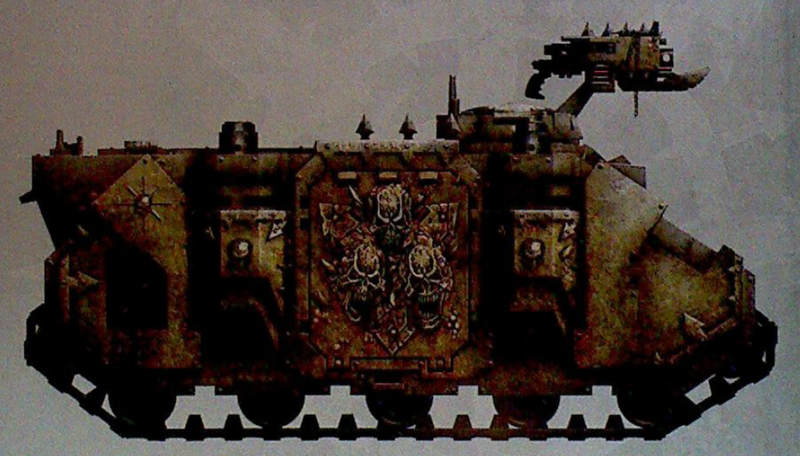 This vehicle bears extensive signs of the taint of the Plague God, Nurgle, including surface blistering and corrosion. Also note banding and spikes common to many war machines in the service of the Ruinous Powers.